Philip Taylor. 128pp. Published by the author. Oxford, UK. 2007. 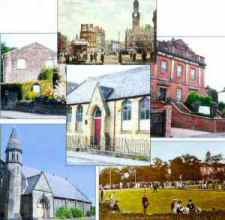 Visiting Menston Chapel where Smith Wigglesworth was converted; Smith's Bradford home, where visitors experienced a close presence of God; Smith's local park where he led many to the Lord; his Mission Church in Bowland Street, Bradford, which was a great centre for evangelism; All Saints' Church, Sunderland where he received the baptism of the Holy Spirit; Glad Tidings Hall, Wakefield, where the Lord called Smith home and, finally, the last resting place of his earthly body. • A unique illustrated companion to the published biographies on the great evangelist. Featuring over 150 photographs - mostly in colour - including present day and evocative period views which help recapture the atmosphere of Wigglesworth's era. 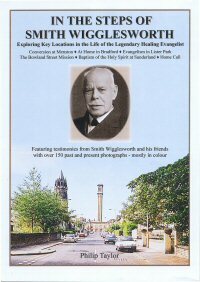 • A valuable guide to special places where events of spiritual and historical significance occurred in the life of Smith Wigglesworth. Including eyewitness testimonies, contemporary magazine reports, historic maps and a wealth of background information. • Ideal for those who wish to visit the places for themselves or even enjoy an 'armchair' tour. • A fascinating combination of spiritual testimony, biographical detail and historical background. Complete with detailed references and an extensive bibliography. Available online from our online shop.